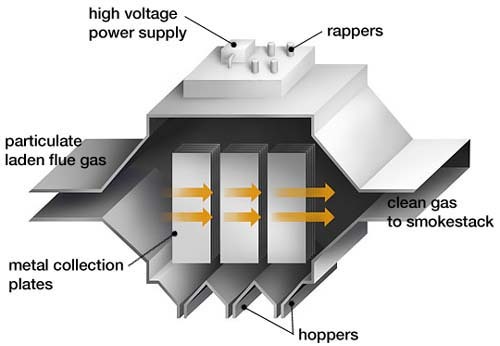 An electrostatic precipitator (ESP) is a particle control device that uses electrical forces to move the particles out of the flowing gas stream and onto collector plates. 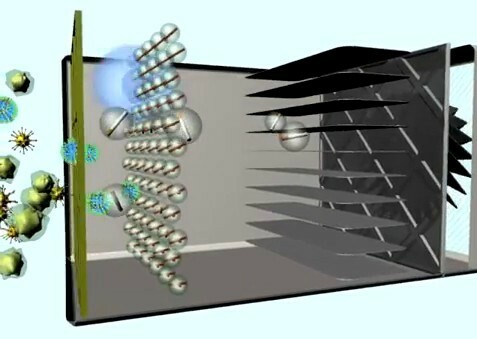 The ESP places electrical charges on the particles, causing them to be attracted to oppositely charged metal plates located in the precipitator. The particles are removed from the plates by "rapping" and collected in a hopper located below the unit. The removal efficiencies for ESPs are highly variable; however, for very small particles alone, the removal efficiency is about 99 percent. 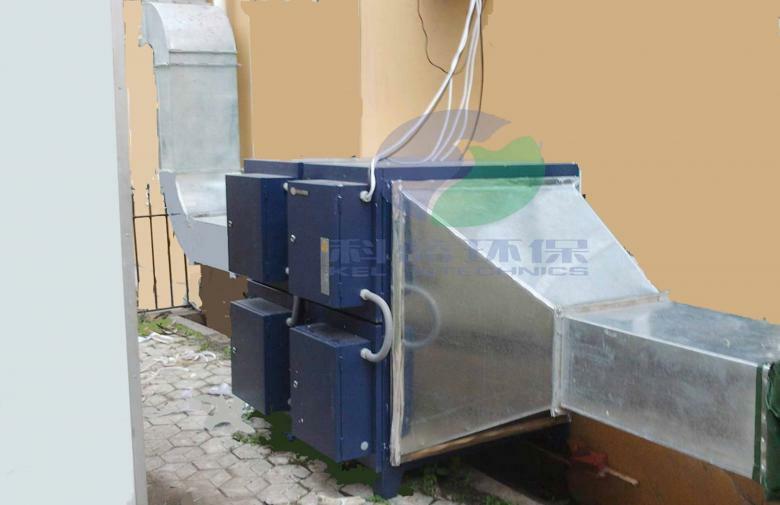 Dual-stage electrostatic precipitators include two parts: the charging and the collecting sections. In the charging section, the incoming smoke, grease, mist, and other particulates pass by ionizer wires which impart a positive electrical charge to these contaminants. The positively charged contaminants are then drawn through the collection section which contains a secondary electrical field with negatively charged aluminum plates. Since opposite charges attract, the positively charged contaminants collect on the negatively charged aluminum plates, removing them from the air stream. 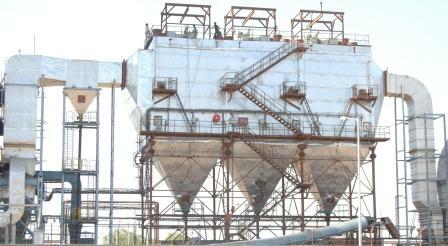 "Particulates - Electrostatic Precipitators (ESPs)." EPA. Environmental Protection Agency, n.d. Web. 15 Jan. 2013. <http://www.epa.gov/eogapti1/course422/ce6a1.html>. "Electrostatic Precipitators." : Reviews & Information. N.p., n.d. Web. 16 Jan. 2013. .